Earlier today Apple announced the dates for their Worldwide Developer Conference, set for June 6-10. If you’re a developer and you want the hottest ticket in town, it’s going to cost you $1599 (the event will sell out once again in days). In the WWDC events in the past, Apple has unveiled new iPhones for the world. This might change as we reported earlier on ‘delayed’ iPhone 5 announcements. Today, over at The Loop (they have a good track record of solid Apple sources), they are saying we won’t see any new iPhone, iPad, or Mac hardware announced at WWDC. Appleâ€™s apparent focus on software in its WWDC announcement backs up what my own sources are saying about the annual conference. That is, expect a software show in 2011, not a hardware event. The iPhone 4 had the biggest jump in features coming from the iPhone 3GS. Retina Display, new thinner design, FaceTime with dual cameras, better battery life, and the faster A4 chip that debuted with the iPad. I still marvel at the iPhone 4 as an entire package, and my only wish is for a revamped version of iOS–particularly the way Push Notifications are handled. 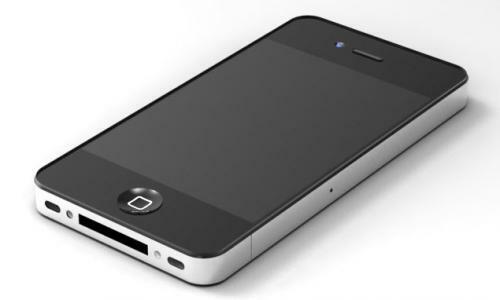 What would Apple bring in the next iPhone 5? It would make sense to incorporate the A5 chip from the iPad 2, have a bigger screen…and…and..an espresso maker? 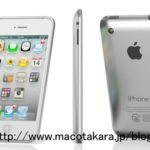 The jump from an iPhone 4 to the next iPhone would have to be a huge jump (thus, Apple waiting more than a year to allow the iPhone 4 to sell further), or it could be an tiny incremental one like moving from the iPhone 3G to iPhone 3GS. What I’m saying is that my iPhone 4 can delay my insatiable appetite for the next iPhone 5 at bay for much longer than previous iPhones. Features we’ve longed for made it into the iPhone 4. The hardware is already decent–what I’m waiting for is iOS 5 to land on my doorstep, which we’re going to see at this year’s WWDC. Sure, maybe I’ve been spoiled by upgrading to a new iPhone every year. However, I’m putting my bets on iOS 5 to deliver the ‘new’ iPhone I’ve been waiting for this summer. I’m not saying that I won’t jump on the iPhone 5 if it’s actually announced this summer (come on, who can resist upgrades? I recently bought the iPad 2), but I’m saying the iPhone 4 can prolong any twitches to upgrade for at least another 6-10 months. Apple understands that you don’t need to deliver new hardware every 6 months (like RIM and their excessive Blackberry models). They have mastered the art of seamlessly delivering software updates through iOS to give us new features. iOS 5 is going to be huge, and I can’t wait for what will be announced. How much ‘longer’ can you wait with your iPhone 4 before wanting a new phone?